The fish hook is a symbol of skill and ability to provide for one's self and family. Since ancient times Hawaiians have honed their fishing skills and made an art of not only fishing methods but also making fish hooks and lures. These replicas are a perfect way for you to share that tradition. 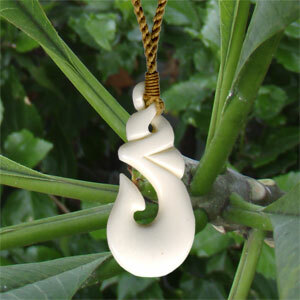 Material: Carved bone with a woven cotton cord.